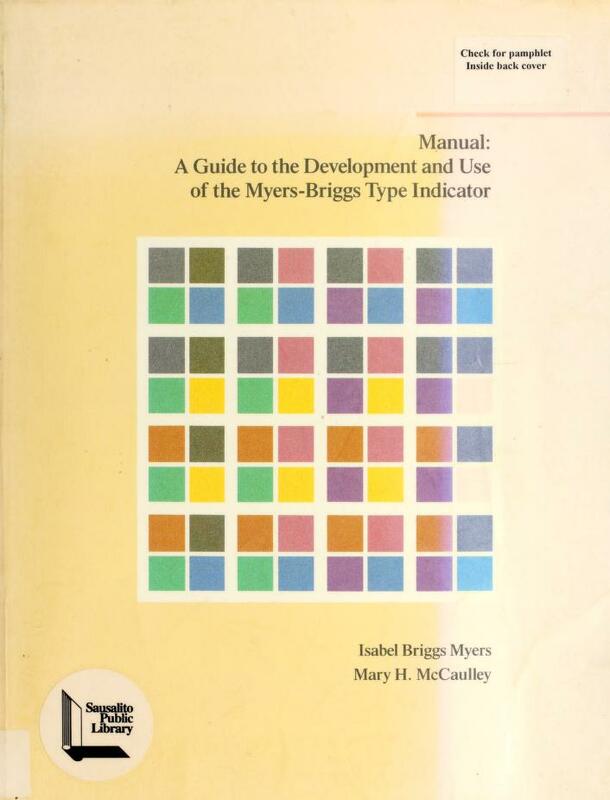 1 edition of Manual, a guide to the development and use of the Myers-Brig... found in the catalog. Add another edition? Are you sure you want to remove Manual, a guide to the development and use of the Myers-Briggs type indicator from your list? Published 1985 by Consulting Psychologists Press in Palo Alto, California . The purpose of the Myers-Briggs Type Indicator15 (MBTI®) is to make the theory of psychological types described by C. G. Jung (1921/1971) understandable and useful in people's lives. The essence of the theory is that much seemingly random variation in behavior is actually quite orderly and consistent, being due to basic differences in the way individuals prefer to use their perception and judgment. January 1, 2018 Edited by Alex Herrera added toc, second author etc.